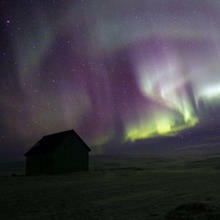 Aurora in Iceland during a ten day 200km ski trek. 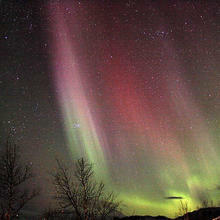 For the rest of that story, see my Iceland Adventures. 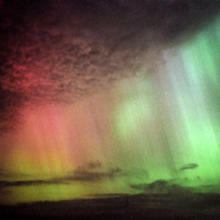 Aurora on a Sunday Evening, with a lucky break in the clouds. 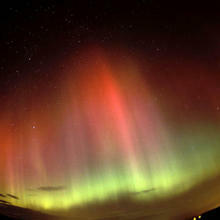 With Kaz at the Aberdeen Astronomical Society dark sky site. 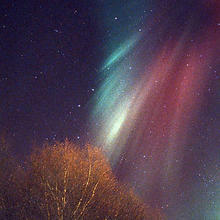 November 20, 2003. 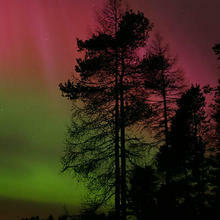 Very colourful aurora, which started at 5:20pm local time! I took a few shots then Torcuill Torrance arrived to take the rest..
16mm semi-fisheye lens at f2.8. 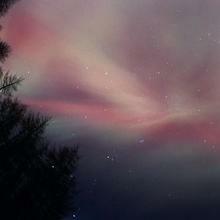 Minolta XE1 with Fuji Provia 400F. 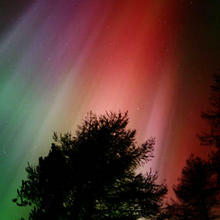 The same colourful aurora photographed with a Canon EOS 10D Digital SLR. 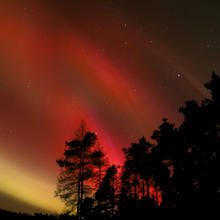 Aurora Storm in Scotland following X17 flare. 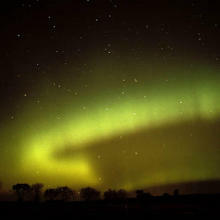 For more info on how and where to see the aurora near Aberdeen, try the Astronomical Society. 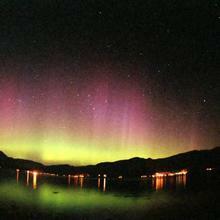 My first aurora in Scotland, on the West Coast after Glenn gave up and went home.